In this topic we will cover how to extract meta-data from existing audio file that will reside in sd-card. Extraction of Album art, Album name, Artist name, Genre from mp3 file. Conversion of Byte array to Bitmap for showing Album art. MediaMetadataRetriever: This class is used to extract metadata from media file. It comes from “android.media.MediaMetadataRetriever” package. It has many of available metadata types. A developer can use this class as per need. 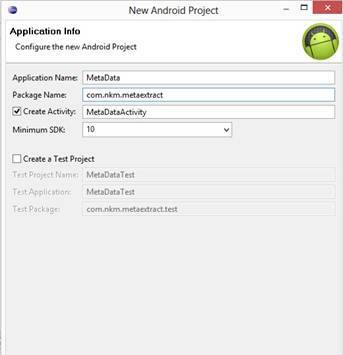 Here is the below some metadata types that we can extract from a media file in android. METADATA_KEY_ALBUM : This key of metadata is used to extract the information about the Album associated with media file. METADATA_KEY_ALBUMARTIST : This key of metadata is used to extract the information about the Artist or Performer associated with media file. METADATA_KEY_ARTIST : This key of metadata is used to extract the information about the Artist associated with media file. METADATA_KEY_AUTHOR : This key of metadata is used to extract the information about the author associated with media file. METADATA_KEY_COMPOSER : This key of metadata is used to extract the information about the Composer associated with media file. METADATA_KEY_BITRATE : This key of metadata is used to extract the information about the Bitrate associated with media file. METADATA_KEY_GENRE: This key of metadata is used to extract the information about the Genre associated with media file. void setDataSource(String path) : This method is used to set the media file source path in string format. string extractMetadata(int keyCode) : This method is used to extract metadata as per keys selected that are mentioned above. byte getEmbeddedPicture() : This method is used to extract album art associated with media file. 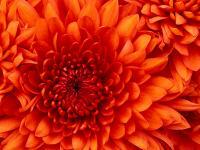 Bitmap Class: Bitmap class is basically used to work on Images. Bitmap class has the following useful method. createScaledBitmap(Bitmap src, int dstWidth, int dstHeight, boolean filter) : This method is used to create scaled bitmap from existing bitmap with specified width, height. Here src defines the Bitmap source, dstWidth defines that width specified, dstHeight defines that height specified and filter defines whether source is filtered or not. BitmapFactory Class : This class is very useful to work with decoding of byte array, files. It contains the following useful method. decodeByteArray(byte data, int offset, int length) : This method is used to decode the byte array and convert it into Bitmap. Here data defines the object of byte array, offset defines the starting point from where decoding has to start and length indicates the total length till array has to decode. Steps involved: Here is below the steps that are involved in this project. Listing 1: Paste the following code in main.xml file. Listing 4: Run your program it will give the following output. Composer of song and many more options it has. 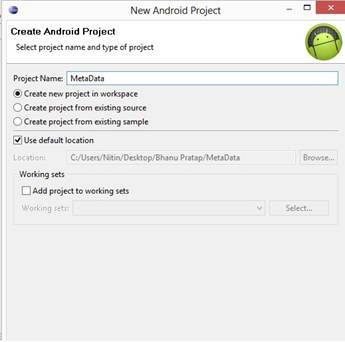 The above code represent how to create object of MediaMetadataRetriever class and how to set the data source. As in this code absolute path of audio file which is set of file which is in sd-card. The above code is used to get album art in byte format from audio file. The above code is used to convert metadata in byte form to Bitmap format so it can be easy to set on ImageView that is defined to show it. In the above code try catch block is used to handle the runtime exceptions like if there is no metadata available for a particular media file then application will not force close due to this block. album.setText(metaRetriver.extractMetadata(MediaMetadataRetriever.METADATA_KEY_ALBUM)); (This line will get the Album name of media file and set it on the album TextView ). artist.setText(metaRetriver.extractMetadata(MediaMetadataRetriever.METADATA_KEY_ARTIST)); (This line will get the Artist name of media file and set it on the artist TextView). setText(metaRetriver.extractMetadata(MediaMetadataRetriever.METADATA_KEY_GENRE)); (This line will get the Genre name of media file and set it on the genre TextView). This is user defined method which is used to fetch ids from xml into java file. How to use MediaMetadataRetriever class , Bitmap class and BitmapFactory class. How to use BitmapFactory class to decode byte array for album art extraction. Different types of Metadata keys for extraction of Metadata of media file. Have good knowledge on Java, HTML, CSS and Android platform and is pursuing Masters in Computer Applications. Hi, I tried this excercise, but with no luck :(. When a run the application it just crash. My Questions is: Do I need to modify the manifest.xml in order to run the application successfully? Hello, what kind of error you are getting ? Any message? Hi , I am trying above code. program running fine but for my case only image is coming. 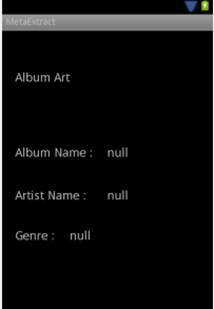 for album name, artist name,genre nothing is coming i am tried several audio files , same for all the cases i am using audio files in my PC [sample windows music files in Windows OS] C:\Users\Public\Music\Sample Music and tried with some other audio files what could be the reason ? Hi, Did you try to see the file properties? Maybe the files don't have those informations added to them. It's possible to see through Window Media Player program. How can name of the song be added? Also, what is the difference between KEY_ALBUMARTIST and KEY_ARTIST?